If you are experiencing technical or login difficulties, the NSWICC’s Specialist Procurement Unit are available to assist Portal users at any time between Mon-Fri 8am-5pm (AEDT) by calling (02) 4932 7722 or via our contact page. Only Suppliers that have been prequalified through the NSWICC Assured Program are listed on the NSW Aboriginal Business Portal. NSWICC Assured Businesses are Aboriginal owned and Contract Ready. The NSWICC conducts quarterly audits on Portal listed Businesses to ensure continual compliance with the NSWICC Assured Program and accuracy of business information such as capacity, ownership, control and licencing. 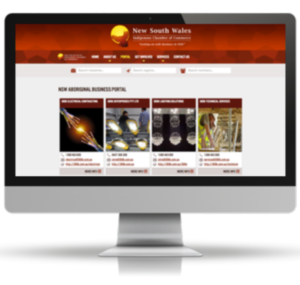 The NSW Aboriginal Business Portal makes purchasing easy for Procurement Teams and other Buyers.